I will be on leave today, I have some more ingredients in the fridge so I thought "Why Not?" So I went to the supermarket n got iciing sugar which I missed out the 1st time. 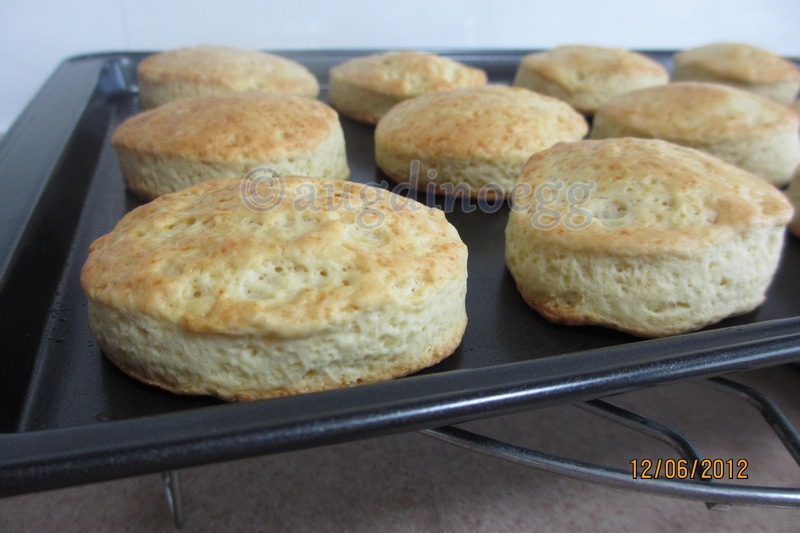 I remember to sift the flour & baking powder and immediately can feel the difference when I mix the butter with it. 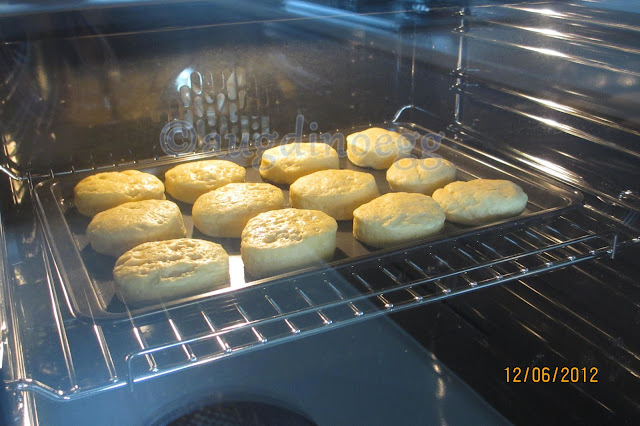 This time I remember to add a teeny weeny bit more caster sugar n roll the dough slightly thicker. Little DinoEgg was sleeping when I started out, he was unhappy that he did not get to participate. I promise him that he can put the strawberries onto the shortcakes. The can of instant whip cream gave up on me... 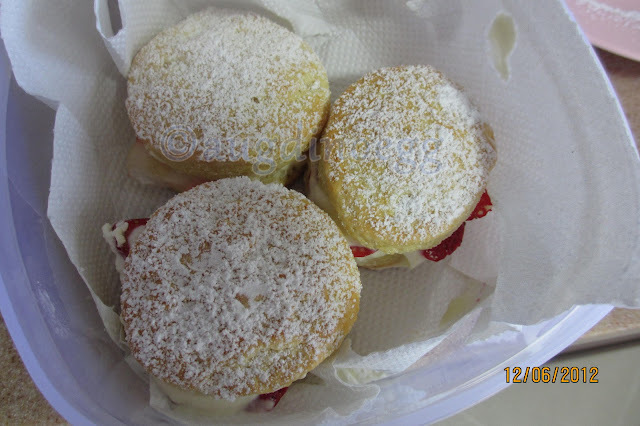 I only managed to make 5 Strawberry Shortcakes n keep the remaining shortcakes in an air tight container till later. 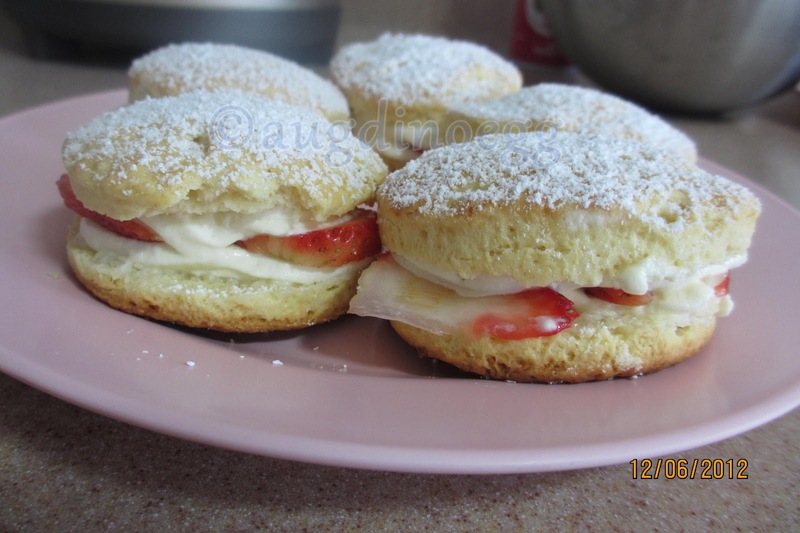 I gave 2 shortcakes to Little DinoEgg as breakfast, and keep 3 for daddy. 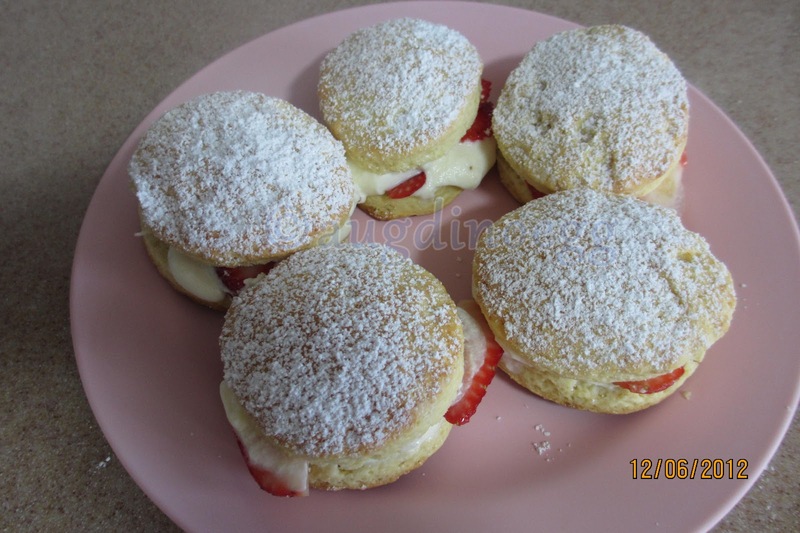 I took a small bite from Little DinoEgg's share, its sweet this time but not too sweet, the shortcake is soft, no more hard outer layer. Success I should say! wah...I want *drooling*, surely looked very yummy! *clap clap* for the good job:)! I want too^^. btw, why little man cant have chocolate? You are welcome. I want u to taste it fresh out of oven rather then waiting till late tonight. Glad you like it. Well done Jen!! They look ultra fab! Lucky 2nd attempt is a success otherwise I'll be so sad n no mood for today's gathering.